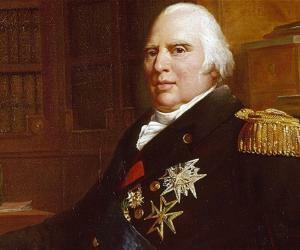 King Louis XVIII was the King of France from 1814 to 1824. Check out this biography to know about his childhood, life, achievements, works & timeline. King Louis XVIII was the King of France from 1814 to 1824, barring a small period in 1815. He came to the throne at a time when France was going through a period of transition. The country had just witnessed the beheading of King Louis XVI by the revolutionary government; it had also witnessed the rise and fall of an empire under Napoleon I. Weary of war, the people wanted a stable government that would also allow their voices to be heard. 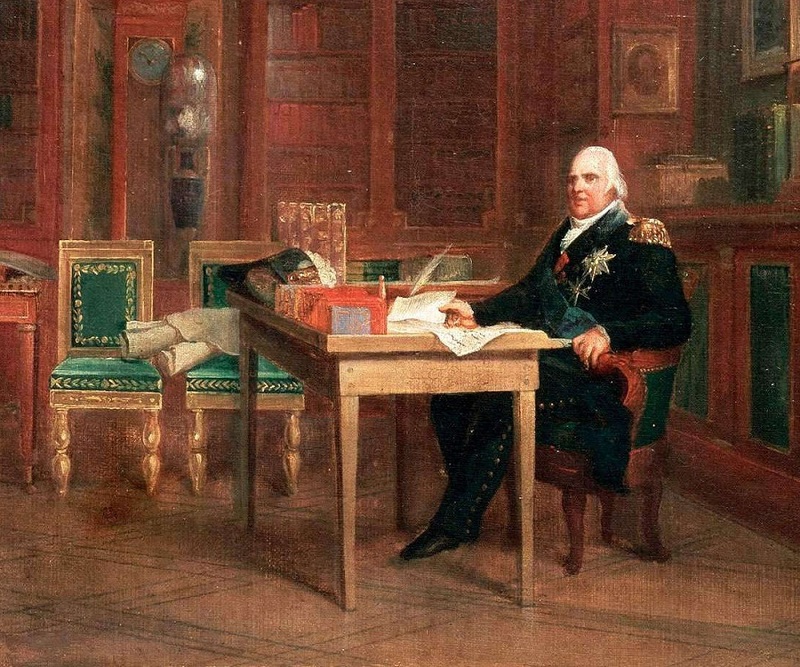 Even before he came to power, King Louis XVIII had realized that the days of absolute monarchy had gone. He therefore, tried to take a more liberal attitude and made efforts to accommodate every section of the society in his rule. Consequently, he has been hailed as an intelligent and liberal king by scholars. However, many more consider him as skeptical and narrow minded monarch whose only object was to hold on to his throne. Nonetheless, he was probably the most well-read ruler that sat on the throne of France. 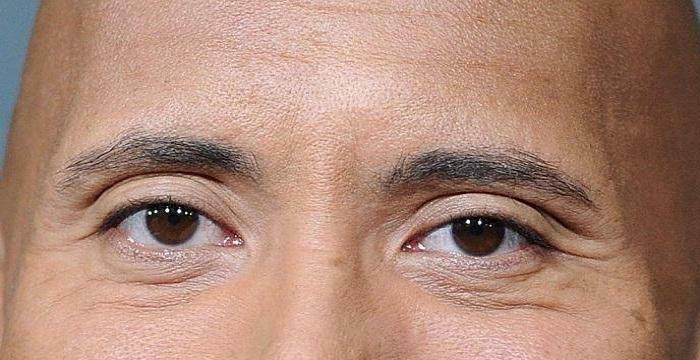 On the other side, he persistently suffered from obesity (due to overeating) and gout. Consequently, he often had to depend upon his ultra-royal brother, Count of Artois, which caused problems in many spheres. King Louis XVIII of France was born as Louis Stanislas Xavier on November 17, 1755 at the Palace of Versailles to Dauphin Louis de France and Marie Joseph of Saxony. He was the eighth child of the couple’s thirteen children, many of whom died either at birth or at infancy. Louis Stanislas became the Count of Provence at birth. Since he was the fourth living son of the Dauphin, he was far removed from the throne. However, with the death of two of his brothers in childhood and the passing away of his father in 1765 he was quickly elevated to the second position in line of succession. Louis Stanislas was an intelligent child. He began his education at the age of seven and received the same teachings as his elder brother Luis Auguste, the future King XVI of France. Along with other things, the princes were taught how to reason correctly and to like work. Stanislas finished his education in April 1771. In the same month, he was made Duke of Anjou, Count of Maine, Count of Perche, and Count of Senoches by his grandfather King Louis XV of France. His household was also established at the same time. Later in 1773, he was ordained as the Grandmaster of the Order of St. Lazarus. His elder brother Louis Auguste came to the throne on the death of their grandfather King Louis XV on April 27, 1774. As the new king’s eldest brother, Stanislas received the title of Monsieur. However, he was denied a place in the king’s council and consequently, led an apolitical life till 1787. Louis Stanislas, then known as Comte de Provence, spent the time reading books in his vast library and travelling across France. From 1787, onwards he got some opportunity to assert his political identity. However, it was cut short by the onset of the French Revolution. The revolution erupted with the storming of the Bastille Fort on July 14, 1789. Although his younger brother, the Comte d’ Artois, later king Charles X of France, left the country on July 16, Comte d’ Provence decided to stay back with King Louis XVI and his family at the Palace of Versailles. The royal family stayed at the palace till October 5, 1789, after which they were forced to relocate. The Count along with his wife shifted to the Palace of Luxemburg and stayed there till June 1791 while King Louis XVI went to live at the Palace of Tuileries. Alarmed at the direction in which the revolution was going, King Louis XVI and his immediate family tried to escape to Austria on June 20, 1791 in the guise of servants. However, they were caught and arrested at Verennes. On hearing the news, Comte d’ Provence fled to Southern Netherland, then known as Austrian Netherland, with his immediate family. Comte d’ Provence spent the first fifteen years of his exile travelling through Germany, Italy, Poland and Russia. He finally settled in Great Britain in November 1807. At Koblenz in Germany, he was joined by other princes in exile. The émigré association so formed declared their intention of invading France and sought the help of other monarchs. Although they got help in the long run, such measures also hastened the execution of King Louis XVI and his queen Marie Antoinette. After the death of the king in 1793, his young son Louis Charles became the titular king. Comte d’ Provence immediately declared him King Louis XVII of France and himself his regent. In June 1795, ten year old Louis XVII, who had been leading a miserable life in prison, died. 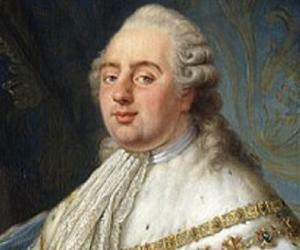 Since the Comte was next in line to the throne the princes-in-exile declared him King Louis XVIII of France. Immediately, he began to create manifestos, urging the people of France to bring back monarchy. As Napoleon rose to power, King Louis XVIII wrote to him requesting him to restore the throne to the Bourbons. However, Napoleon had other plans. In 1803, he offered the King handsome amount in exchange of abdication. Although he was going through financial problems, the King refused such an offer. Instead in 1805, King Louis XVIII declared abolition of conscription, continuation of Napoleon's administrative and judicial system, reduction of taxes, elimination of political prison system and amnesty to everyone who did not oppose restoration of monarchy. In 1812, Napoleon invaded Russia, which ended in routing of the French army. In 1813, Louis XVIII declared that if restored to power those who worked with Napoleon or served under the Republic would not suffer for their actions. Moreover, the land of nobles, which had been confiscated, would be returned. In March 31, 1814, the allied troops entered Paris under Comte d’ Artois, then Lieutenant General of the Kingdom. Senate, created by Napoleon, invited the Bourbons to restore their rule on April 6, 1814. 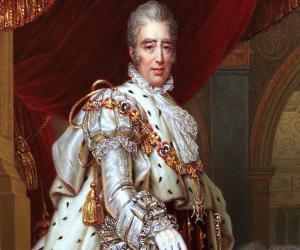 Finally King XVIII of France arrived in on May 3, 1814. 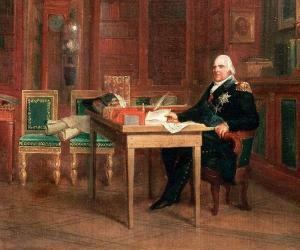 On coming to the throne in 1814, Louis XVIII signed the Treaty of Paris on May 30, 1814. It restored the country’s border to its 1792 status. He also created the ‘Charter of 1814’, which consisted of many progressive provisions such as freedom of religion, freedom of press etc. The Charter also promised bicameral legislature with Chamber of Deputies and Chamber of Peers. While the Peers were appointed by the King, the Deputies were to be elected by the people every five years. 90,000 citizens were given the voting right. In fact, the reign of King Louis XVIII saw the country’s first experiment with democracy. The King was invested with executive powers while the parliament approved the budget and voted on laws initiated by the King. Due to severe financial constraint King Louis XVIII could not keep all his promises, which resulted in discontent among the masses. Consequently, when Napoleon attacked Paris in early 1815, many of the soldiers defected. King Louis XVIII had to flee once more. Napoleon did not rule for long. The War of Waterloo sealed his fate permanently. King Louis XVIII returned to Paris amid noisy welcome on July 8, 1815. However, the Allied forces, consisting of a coalition of Austria, Prussia, Russia, the United Kingdom, Portugal, Sweden, Spain and a number of German States refused to vacate the country. France not only had to pay millions of francs in war indemnity, but also a yearly amount to the Allied force. 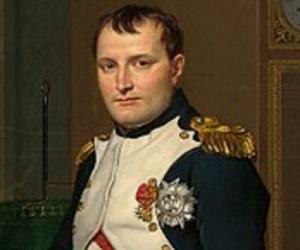 At last, in October 1818, the Allied force agreed to withdraw their army in exchange of payment of 200 million franc. However, the King did not play any major role in that. 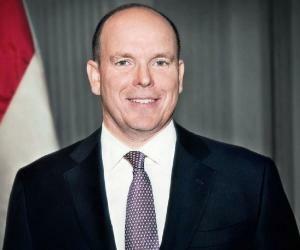 By this time he had voluntarily resigned most of his duties to his council of ministers. From, 1816 to 1820, the country went through moderate reforms. However, such moves were obstructed at every step by the ultra-royals under his brother Dauphin Comte of Artois. In fact, the most challenging aspect of his rule was to keep the ultras under control. King Louis XVIII tried to strike a balance between old order and the aspiration of the newly awakening nation. At one point of time, he dissolved the parliament; but did not allow the legitimacy of the constitution to be undermined at the hand of the ultras. Conversely, to uphold monarchial supremacy, he sent French troops into Spain in aid of King Ferdinand VII in 1823. King Louis XVIII married Princess Marie Joséphine of Savoy on May 14, 1771. However, the marriage remained unconsummated for years. Some believe that the prince was repulsed by her lack of beauty, poor personal hygiene and ignorance of court manners. Some others say that the King, who suffered from obesity, was impotent. However, Marie Joséphine became pregnant twice; each of which ended in miscarriage. The couple remained childless for rest of their life. King Louis XVIII suffered from obesity and gout from quite an early age. He became very ill in the middle of 1824. Apart from the above mentioned ailments, he also developed gangrene in legs and spine. He finally died on September 16, 1824. After him, his younger brother Comte de Artois was proclaimed King Charles X of France.